we felt we needed to test our interview questionnaire. then we decided to post them too since we’d written them. 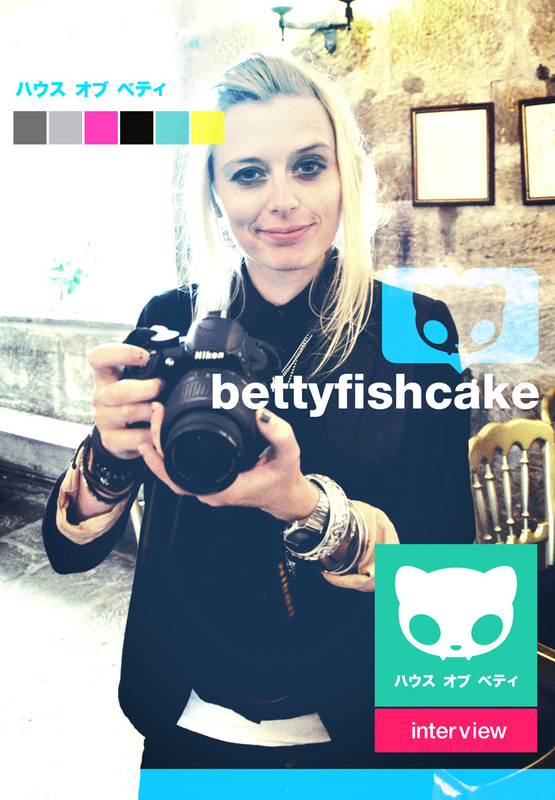 welcome to bettyfishcake. Small. Stupid. Funny. Smells Weird. When they like it. Mostly, everybody likes something different, so when you make something that a lot of very different people like, it’s very encouraging that you’re not too bad at whatever it is that you’re doing. I do Graphic Design and Graphic Design mostly has to target specific types of people. When it does it’s job properly it means that you’ve done well at knowing what works for those groups, but when i’m doing graphic design for myself, i don’t have to think about making sure anyone gets it, just that there are people somewhere who will, and that i’ll probably have a lot in common with those people. Apart from that, the other best thing is that it’s fun and i enjoy doing it. The things that I love; amazing graphic design and art and vinyl toys. Great comics and video games and books and some music and Japanese culture and pop culture and films. Perfectionism and passion about silly things. General enthusiasm and excitement and working hard. And Helvetica. Computers. Thank you Misters Wozniack and Gates. I’m playing BlazBlue on XBox (see review). I can’t stop looking at Behance for all the art and design lovelyness; all of the Served sites are brilliant when you need a bit of inspiration. And Bruchetta, which i can’t stop making at the moment. The one’s where things happen that you’re still talking about seven years down the line. I continue to work hard on video games at Sumo. More House Of Betty in my spare time; i’m especially loving the takeovers, and the fact that i get to spend so much time interacting with the girls about something that we’re all excited about. More graphic design. I’m growing in confidence that if i get some of my posters screen printed that people might actually buy them, so hopefully, some of those being made and sold through House Of Betty. Fancy a House Of Betty Stormtrooper poster?